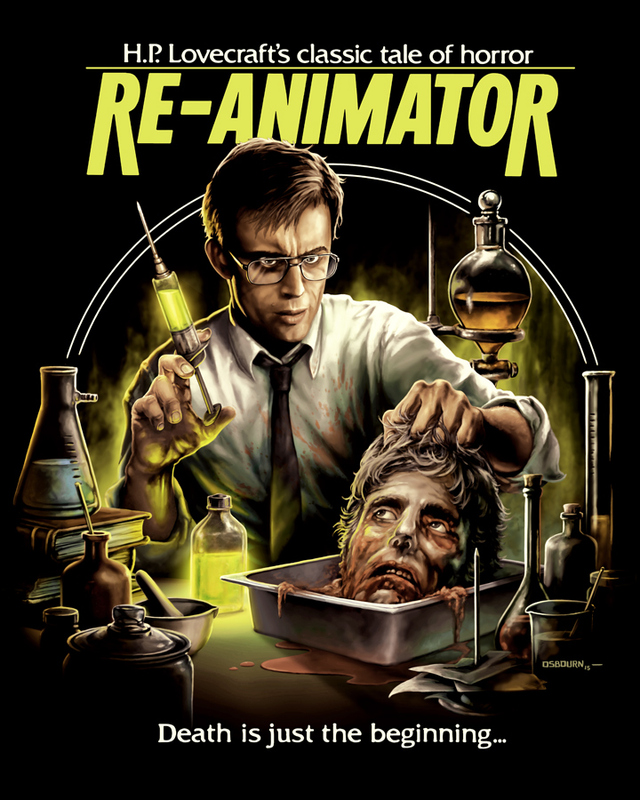 Stuart Gordon’s Re-Animator celebrates its 30th anniversary this year, and Fright-Rags is bringing H.P. Lovecraft’s classic tale of horror back to life with a collection of new shirts. Justin Osbourn, Coki Greenway and Jorge Garza created art featuring Herbert West and other iconic imagery from the classic film. Each design comes on unisex or girls shirts. Garza’s effort is also available in lime green, while Osbourn’s can be purchased on a baseball tee. 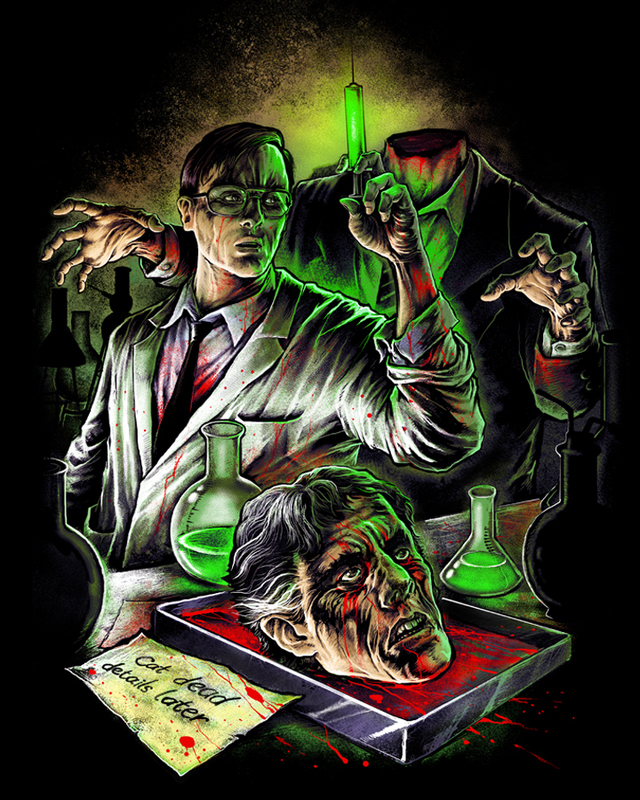 The Re-Animator collection is up for pre-order at Fright-Rags.com. Shirts are expected to ship in mid-July, and they may sell out prior to that. Limited quantities of Fright-Rags’ Chucky collection are still for sale, along with shirts from dozens of other beloved genre films. 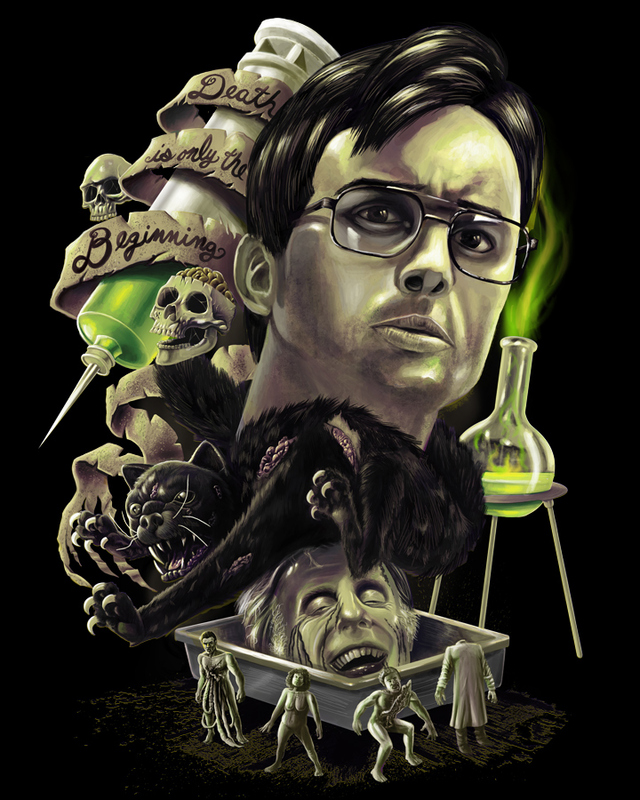 Wow, some great T-Shirt designs for Re-Animator’s 30th anniversary! 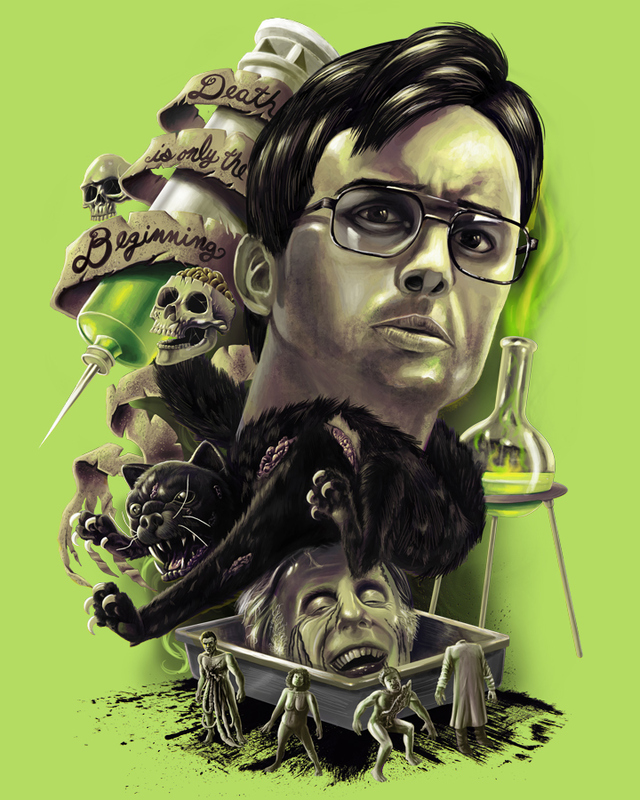 Re-Animator is such an awesome movie!